WVW's own Raymond Neely has had a poem entitled "Moth Screams" accepted for publication in the forthcoming issue of Holler. Holler is a quarterly journal published by the Princeton Poetry Society. You can pick up a free issue of it at the 2010 WVW Summer Conference, or at locations in the Princeton/Bluefield area. We had intended to podcast our Pitch Session Primer interview with Christine Witthohn for this week's podcast, but due to a wicked case of laryngitis followed by a convention trip, we've had to delay that recording until next week. 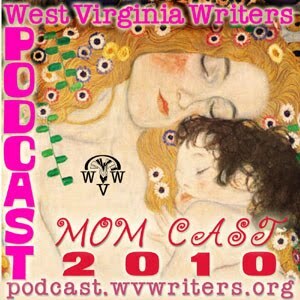 Instead, this week we're speaking with Belinda Anderson, writer, journalist, nomination for WV Writers' parliamentarian and presenter at the 2010 WV Writers Summer Conference. We cover Belinda's extensive past history with WV Writers, what she will be teaching at the conference and cover some of her current and past writing projects that she's involved with, including an oral history project detailing the history of a lost community located atop Wolf Creek Mountain, near Alderson, WV. Check it out at our podcast page... Podcast.WVWriters.org. • $25 entry fee payable to C&R Press. (Optional--include an additional $5 to receive a copy of winning book). • Winner receives $500 and 20 copies. All entries will be considered for publication. A prize of $1,000 and publication will be awarded by Finishing Line Press for a chapbook-length poetry collection. Open to all. The top-ten finalists will be offered publication. Submit up to 26 pages of poetry (one poem per page) , PLUS bio, acknowledgments, SASE and cover letter with a $15 entry fee. Deadline: June 30, 2010 (POSTMARK). Ned Balbo will final judge. Okay, with the conference three short weeks away we need to discuss the changes that have occurred lately. There are several things that have happened and I want you all to know about them. First, Lee Maynard will not be attending this year. Due to matters beyond his control, he can’t make the conference but he was so gracious as to ask me to send his love to everyone and to let it be known, he will return when he can. Stepping in for Lee is none other than the author of The Miner’s Daughter and The Midwife’s Tale, Gretchen Moran Laskas with a class on how to write Appalachian style so that the rest of the world gets it. Kelly Mortimer of Mortimer Literary Agency will fill Lee’s other class. Kelly will discuss why not to use the passive voice in fiction. Another major presenter facing a family crisis is poet Rick Campbell. Rick is also being replaced by two very powerful substitutes. 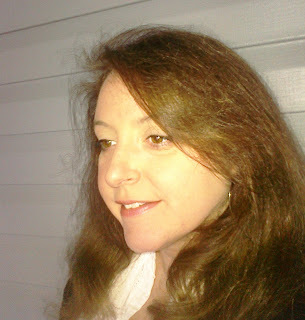 From the Kestrel Literary Group at Fairmont State University comes Kestrel editor, Donna Long. We’re thrilled to welcome this fascinating editor and poet. Also joining us in Rick’s stead is one of West Virginia’s leading African American poets, Norman Jordan. Norman is anthologized in Wild Sweet Notes and 41 other collections and has accolades from West Virginia to the United Nations. We are happy to have Norman join us with a reading as well as a new voice on the Appalachian panel discussion. Okay, let’s talk about the rooms again…. Several of the lodges at Cedar Lakes are full. The remaining options are: 1. Ask the folks at Cedar Lakes to convert a dorm room into a motel style room, 2. Stay in a dorm room (kinda like summer camp), 3. Stay in a nearby motel/hotel in Ripley. These are discussed in the podcast and you can see them on our website at: OTHER LODGING POSSIBILITIES (Updated 3/25/09) …take a look and READ CAREFULLY. contributors to TSP or not, and in any genre. Entries must be submitted as a Word doc file, one per e-mail, in Times New Roman, 12-point font, and double-spaced. The author's name, address, and telephone number must appear in the upper right hand corner. Word count must not exceed 4,000. Please include a short bio statement, not to exceed 100 words, in the body of your e-mail. The judges for the contest are Zinta Aistars, editor-in-chief of The Smoking Poet; Lorena Audra Rutens, "A Good Cause" editor at The Smoking Poet; and honorary judge of TSP's Third Annual Short Story Contest is Kevin Morgan Watson, founding publisher and editor of Press 53, a small literary publishing company in Winston-Salem, NC. Literate Yourself! Submission deadline for the contest is May 31, 2010. Please send your submission with the subject line stating CONTEST/Last Name to <thesmokingpoet(at)gmail.com> (replace (at) with @) If the subject line does not state CONTEST, then we will assume it is a submission for the ezine. We look forward to reading your best work! See also general submission guidelines for the upcoming summer issue. manuscript entry is permitted per writer. 2. All manuscripts submitted: a) must be original, previously unpublished works of book length (no less than 220 typewritten pages or approximately 60,000 words) written in the English language by the entrant; b) must not violate any right of any third party or be libelous; and c) must generally follow the guidelines below. 1. Murder or another serious crime or crimes is at the heart of the story and emphasis is on the solution rather than the details of the crime. 3. Nominees will be selected by judges chosen by the editorial staff of St. Martin's Press, with the assistance of organizers of the THWC, and the winner will be chosen by St. Martin's editors. The decision of the editors as to the winner of the Competition will be final. St. Martin's reserves the right not to select any winner if, in the sole opinion of the editors, none of the manuscripts submitted are of publishable quality. 4. An attempt will be made to notify the Competition winner, if any, no later than October 31, 2010.
its sole discretion. The entrant may request reasonable changes in the offered terms, but St. Martin's shall not be obligated to agree to any such changes. St. Martin's may, but will not be required to, consider for publication manuscripts submitted by other entrants. a) A double-spaced and neatly typed copy of the manuscript (photocopies are acceptable) with pages numbered consecutively from beginning to end. The authors name should appear only on the title page and otherwise not appear anywhere on the manuscript pages. b) A letter or cover sheet containing the name, address, email address and telephone number of the entrant and the entrant's previous writing credits, if any. c) The application form, duly completed, and a self-addressed letter-sized envelope for our response. Each entrant must keep a copy of the manuscript for his or her own protection. St. Martin's Press will not be responsible for lost, stolen, or mislaid manuscripts. Because of the great volume of submissions we receive, the fact that judges are volunteers with full-time responsibilities elsewhere, and the fact that most writers now have the work in their computers, manuscripts will not be returned. Please do not send return postage or envelopes for return of your manuscript. appropriate in the case of a manuscript being considered for publication. 8. This competition is void where prohibited or restricted by law. It is important that you submit your manuscript as early as possible. Our judges are volunteers who are extremely busy with their primary concerns, and it is inevitable that your submission will get a more careful reading if the judge does not have to contend with a flood of last-minute entries. However, it is not necessary to send it the most expensive way. We judge its on-time performance by the post-mark or equivalent, not by the date the judge receives the manuscript. I have read, understood and agree to the foregoing rules. I affirm that the enclosed manuscript is original and was written by me. I further affirm that I have never written a published mystery novel of the type described in the rules. A note from WORDHARVEST in response to your most common question: Although the judges make the final call, in general self-published mysteries are allowed. If a self-published book sold thousands of copies, got a starred review in Publishers Weekly, or otherwise made a big splash, it would be disqualified. A handy checklist for attendees of the WV Writers Summer Conference. If you've never been to the conference, check out the Conference First Timers Guide for some handy tips. Remember to bring material to pin to the Writers Wall, be it poetry or prose. Remember not to put your name on the Writers Wall material. Remember to bring material to read in the People's Choice competitions on Friday or Saturday, be it poetry or prose. Remember that name badges are required in order to attend workshops, so that will help in knowing who people are in all the activities. This year we've chosen the much-requested hanging badges instead of the pin-style so they won't snag clothes, so this will make them easier to wear. Remember to bring something to donate to the silent auction. People have brought books, crafts, jewelry, art, sculpture and many other kinds of things. If it looks interesting, chances are it will do well. (Eric is especially interested in starting and winning a bidding war on one of those Flatwoods Monster porcelain lanterns, if you've got one lying around.) If you don't have something already, maybe ask a local business to donate something. WV Writers can send them a tax receipt. Remember to bring a food item or drink item for the Reception Table in the Main Hall. This can be something home baked or store bought, like cookies, candy bar minis, doughnuts, or, God help us, something healthy like fruit. Chips, not so good. Likewise for drinks, a 12 pack of canned soft drinks or water is greatly appreciated. We'll have coffee and fruit/veggie trays on hand, but if you have healthy food you'd like to bring, that's always appreciated too. We like to have enough food and drinks on hand so there are refreshments throughout the weekend, so if everyone brings a food item and a drink item, we'll be good to go. If you have a cooler and ice you can loan us for the weekend please do bring it. We use them to keep the refreshment drinks cold. If you're doing a Pitch Session with Peter Lynch, Christine Witthohn or Kelly Mortimer, you might stop by the following address for some Pitch Session How To suggestions. Or check out our Pitch Session Primer interview with Christine on next week's WVW Podcast. If you've registered for your room and meals with Cedar Lakes, be sure they have your meal choice for the Saturday evening banquet (baked steak or stuffed chicken). Every year Cedar Lakes has to spend countless hours calling people to get their choice. Check out the finalized schedule online for the latest changes, so you can plan your days accordingly. Remember to bring a hoodie, sweater or something warm to pull on, as it does get nippy at night. Similarly, a rain coat or umbrella would be good, as traditionally there is an annual torrential downpour at some point. (This news courtesy of R.S. White). The winners will receive book publication, $1,000 advance against royalties, and a $1,500 travel grant to participate in the 2011 Autumn House Master Authors Series in Pittsburgh. The deadline is June 30, 2010. The final judge for the Poetry Prize is Claudia Emerson. If you wish to be informed of the results of the competition, please include a stamped, self-addressed envelope. All entries must be clearly marked "Poetry Prize" on the outside envelope. Twenty five dollar handling fee (check or money order) must be enclosed. Basic realization #1 – There is no silver bullet made that will subdue this beast known as publishing. You must be savvy enough to get an agent or editor's attention and then pitch your writing. You have to find someone interested in reading a query and proposal, then you must fashion a query letter so that the agent couldn't live without the project. Since it is literally impossible to get these last minute announcements into the newsletter, we must rely on this email newsletter, the WVWriters Weblog, and "word of mouth" to get it to our membership, so don't hesitate to forward these announcements to anyone who you think would like to know. If this has been forwarded to you and you would like your name added to the list to receive the email newsletter, or send your email address to the addresses listed on our website and make sure your settings list WV Writers, Inc. as "non-spam"
Famous quote: The freelance writer is a man who is paid per piece or per word or perhaps. Vanderbilt University's national literary magazine, Nashville Review, will be accepting submissions of fiction, poetry, and nonfiction until June 1 for its Summer 2010 issue. Fiction and nonfiction contributors are offered a flat fee of $100; poetry contributors are offered $25 per poem. 2:00 p.m., at Mountwest Community & Technical College. in the cost, Knost will host a "free-for-all writing craft discussion"
questions to <queerarts(at)gmail.com> (replace (at) with @). 5) For Poetry, material must be original and at least 50% unpublished. anthologies and e-books, are not eligible. nowhere else, including Headers and Footers. 8) No translations; manuscripts must be in English. clip is preferred, but staples are fine. clip is preferred, but a staple is fine. entitles author to one issue of BLOOM. 11) DEADLINE: Submission must be postmarked or emailed by June 15, 2010.
self-addressed, stamped postcard or envelope. headings (Fiction Chapbook Contest or Poetry Chapbook Contest). until all three items are present. 1, 2010, and the winner by October 1, 2010. 16) Each winner receives $250 and 25 copies of chapbook. Meredith Sue Willis’s BOOKS FOR READERS Newsletter # 131 is online at http://www.meredithsuewillis.com/booksforreaders.html. If you want to link to this newsletter, please use this permanent link : http://www.meredithsuewillis.com/bfrarchive131-135.html#131. Are you an aspiring author? Have you ever wondered how the publishing world works? Please join us as local literary agent Christine Witthohn discusses the trials and tribulations of her profession and unravels the mysteries of publishing in a talk called The Mysterious World of Publishing. This will take place Wednesday, June 9, at 12:15 p.m., at the Clay Center in Charleston. Christine Witthohn will be one of the agents conducting pitch sessions at the 2010 West Virginia Writers Summer Conference, which kicks off just two days after Christine's talk. Book Cents Literary Agency is a proud sponsor of the International Women's Fiction Festival in Matera, Italy. For more information, visit: www.womensfictionfestival.com. Office to recruit more film production to the state. 304-957-9366, or by e-mail at misty.g.dailey@wv.gov. companies, and freelance production crew to attend. be an assortment of helpful handouts. Commerce, Division of Tourism, and can be visited at www.wvfilm.com. the Summer 2010 issue of Sonora Review. Include a cover letter with full name, title of work, mailing and email address. The author's name should not appear anywhere on the manuscript. No previous published work will be accepted. By "concentrated nonfiction" we mean a short essay of any variety under 1000 words, not limited to any specific type of essay. In fact, we encourage creativity that projects the malleability of the form. We also are willing to publish multimedia essays as long as the main force of the essay is through language (and it is short). Simply click on the type of contest you'd like to submit to, register, pay, and we're all good to go. Room is Canada’s oldest literary journal by, for, and about women. Published quarterly by a group of volunteers based in Vancouver, Room showcases fiction, poetry, reviews, art work, interviews and profiles about the female experience. Many of our contributors are at the beginning of their writing careers, looking for an opportunity to get published for the first time. Some later go on to great acclaim. Room is a space where women can speak, connect,and showcase their creativity. Each quarter we publish original,thought-provoking works that reflect women’s strength, sensuality,vulnerability, and wit. It's that time of year again—sharpen your pencils or fire up your laptop and send us your fiction, poetry, or creative non-fiction contest entries. Deadline: Entries must be postmarked no later than June 15, 2010. Entry Fee: $27 per entry (includes a complimentary one-year subscription to Room). Payment by cheque or money order made out to Room. Prizes: 1st prize in each category – $500, 2nd prize – $250. Winners will be published in a 2011 issue of Room. Other manuscripts may be published. There will be blind judging, therefore, do not put your name or address on entry submission,but enclose a cover sheet with your name, address, phone number and title(s) of entry. Entries must be typed on 8.5 X 11 white paper. Prose must be double-spaced. Each entry must be original, unpublished, not submitted or accepted elsewhere for publication and not entered simultaneously in any other contest or competition. The Tidal Basin Review invites prose and poetry submissions for the first annual Editorial Prize. One poem and one prose piece (fiction or creative nonfiction) will be chosen for this prize. - an interview on 89.3 WPFW's, The Poet's Corner. For details, please visit the Tidal Basin Review site. SUBMISSION PERIOD: Submissions will be accepted by email only at tbrprize@gmail.comfrom May 1, 2010 through June 30, 2010, 11:59 p.m. Any submissions received outside of this submission period will neither be considered for the contest issue nor for general publication in the Tidal Basin Review. The winners will be announced by Thursday, July 15, 2010. IMPORTANT NOTE: In accord with Tidal Basin Review's mission and vision, submissions from non-US residents and/or citizens are not eligible and will not be considered for the TBR Editorial Prize. BRINGING GREAT LITERATURE TO THE WORLD. ONLINE. FREE. NOW IS THE TIME to enter the Spring Story Contest. It's open to all fiction and nonfiction writers, and we're looking for short stories, short shorts, essays, memoirs, photo essays, graphic stories, all forms of literary nonfiction, and excerpts from longer works of both fiction and nonfiction. Our one criterion is excellence. Ten finalists receive $100 each. The $5,000 Narrative Prize is awarded annually for the best short story, novel excerpt, poem, graphic story, or literary nonfiction published by a new or emerging writer in Narrative. The deadline for entries for the 2010 award is JUNE 15. For more information, and to read works by previous Narrative Prize winners, please visit our prize page. $1,000 and publication in Boulevard awarded for the winning group of three poems by a poet who has not yet published a book of poetry with a nationally distributed press. The poems may be a sequence or unrelated. All entries must be postmarked by June 1, 2010. Simultaneous submissions are allowed, but previously accepted or published work is ineligible. Entries will be judged by the editors of Boulevard magazine. No one editorially or financially affiliated with Boulevard can enter the contest. Send typed manuscript(s) and SAS postcard for acknowledgment of receipt to: Boulevard Emerging Poets Contest, PMB 325, 6614 Clayton Road, Richmond Heights, MO 63117. No manuscripts will be returned. The winning poems will be published in the Fall 2010 or Spring 2011 issue of Boulevard. This week, the WVW Podcast celebrates Mother's Day with a triple-sized MOMCAST 2010. This special podcast features poems, stories, essays and memories as phoned in by our members and sundry listeners. Contributors inclue Elvera Denning, Terry McNemar, Tracy Seiffers, Sandra Clay, Barbara Wittington, Llewellyn McKernan, Sal Buttacci, Kate Dooley, John Nagle, C.J. Farnsworth, Dianne Tarantini, Tim Armentrout, Susan DeVan, Charlotte Sneed, Linda Hoagland, Barbara Smith, Cat Pleska, Heidi Hartwicker and Eric Fritzius. Download it for yourselves at our Podcast Page. Dear membership of West Virginia Writers, Inc. Included in this letter are the nominations for officers being recommended by the WV Writers nominating committee. These nominations will be presented for election at our annual business meeting, held on June 11, 2010, at 1 p.m., during the 2010 WV Writers Summer Conference. They are to serve for fiscal year 2010 – 2011. The Nominating Committee for 2010 included: Eric Fritzius, Ethan Fischer, Sandy Tritt, Belinda Anderson, and Jay Tabor. Cat Pleska is a freelance writer/editor, radio essayist, university teacher, performer and traveler. She has been a member of WVW, Inc. for 12 years, and has served as secretary, treasurer, and currently 1st. VP. She is also been a board member of two other WV organizations and is used to committee work, executive board decision-making and is no stranger to hard work. Most of all, she is a writer--lives and breathes writing--and is dedicated to supporting writers/writing across the state in whatever way she can. Her plans are to raise the awareness of and appreciation for WVW, Inc., in the minds of State Arts Groups, the State Government, and citizens from border to border and beyond. Cat is a 6th generation West Virginian and lives in Scott Depot with her husband, Dan, dog, Lexi, and cat, Zoe, but is not too far from her daughter Katie, who lives in St. Albans. Check out Cat's activities on her web site and blog: www.catpleska.com . Teresa Newsome is our current secretary. She and her husband, Terry, live in Madison where they enjoy spoiling their two grandchildren. Teresa is a graduate of Marshall University and works at the law firm of Shaffer & Shaffer as a certified paralegal. She is the recipient of a WV Commission on the Arts Individual Artist Award and has enjoyed being a member of WV Writers for many years. Susan Nicholas grew up in Milton, WV and graduated from Milton High School in 1986. She anchors the Saturday 6am news and Sundays at 6 & 11pm for WSAZ in Huntington. Her story, "The Suit," won first place at the West Virginia Writers Conference in 2008. She is currently working on several picture books and magazine articles for Highlights Magazine. When Susan isn't writing stories or anchoring the news she is leading her daughter's Girl Scout troop. Of all the things Susan has gotten to do during her 20 years in broadcasting she feels her greatest accomplishments are her two daughters. One is in fourth grade this year and the other just started kindergarten. Craig Snider is thirty-one year old resident of Clarksburg. He grew up in rural West Virginia in a little town called Volga. He is currently a student at Southern New Hampshire University, seeking a degree in English Literature, with a minor in Creative Writing. His ambition is to become a Professor of English studies, and perhaps write a book or two. As a father of a four year old, most of life’s other obstacles seem easy in comparison, and he wouldn't have it any other way. His wife of seven years has been a great support, and bears the lion's share of the responsibilities as he works many hours in online classes to finish his degree. Also in the family are a dog, a cat with a clamorous purr, three lizards, and a chronically agoraphobic rabbit. Belinda Anderson returns to the WV Writers board, having served before as the organization’s 1st Vice President, alongside Cat Pleska, in the 1990s. She holds a bachelor's degree in news-editorial journalism and a master's of liberal arts studies. She's written for such publications as The West Virginia Encyclopedia, Goldenseal, Wonderful West Virginia, Book Page and Writers' Journal, among others. Among her collections of award-winning short stories published by Mountain State Press are The Well Ain't Dry Yet (2001), The Bingo Cheaters (2006), and Buckle Up, Buttercup (2008). Mentoring of other writers earned Belinda Anderson a Just Uncommonly Good (JUG) award from WVW. Her own writing earned her a spot on the first Literary Map of West Virginia. Henry Palek served as regional rep before graciously stepping in to act as interim treasurer. Henry hails from a small burg in western Pennsylvania, attended a small college in the Midwest playing football and received a degree in biochemistry. After retiring as an executive in the glass industry, Henry worked as a consultant and instructor at the business college in Clarksburg. He loves to travel the USA extensively, always enjoying the company of his wife, Susan. Henry is the author of the paranormal romance, Return to Io and the second installment in this thrilling series, The Deadly Probes Scenario. Henry is an active member of The Crow’s Quill critique group in Clarksburg. ABZ will continue the ABZ Poetry Prize for a first full-length book of poems. In 2007, David Baker selected Postcard on Parchment by Christine Stewart-Nunez. Her book was published in 2008. In 2008, Heather McHugh selected The Other Language by Mark Brazaitis, which was published in 2009. Most recently, Mark Halliday chose Ordinary Mourning by Carrie Shipers, which has just been published. We are looking for original poetry manuscripts between 48-76 pages. ABZ will publish the winning manuscript and award the author one thousand dollars and fifty copies of the winning book. The winning manuscript this year will be chosen by Angela Ball. Each manuscript must be bound only with a binder clip and sent in an envelope or package with a May or June 2010 postmark with a reading fee of $28.00 in US Dollars as a check or money order payable to ABZ PRESS. The deadline is June 30 2010. Include a table of contents, acknowledgments, and two title pages. One title page should have only the title. The second title page should have the author’s name, address, phone number with area code, and e-mail address. Please indicate any poetry books or chapbooks (with fewer than 48 pages) you may have published. Simultaneous submissions are OK with us. Let us know if you win another prize. Manuscripts will not be returned. Please keep a copy of your manuscript. To receive notice of manuscript arrival, include a stamped, self-addressed postcard. To receive notice of contest results, you must include a stamped, self-addressed envelope. You will not receive the notice in 2010 unless you include such an envelope. The reading fee entitles the entrant to one copy of the winning book. Copies of the book will be sent in May 2011 when the book is published. The Charleston Gazette has a nice article on the subject of the WV Book Festival, as well as WVW member Mary Lucille Deberry's first poetry collection, Bertha Butcher's Coat. Read the article HERE. And hear our podcast with Mary Lucille, rebroadcast last weekend, HERE. The Gatewood Prize is Switchback Books' annual competition for a first or second full-length (48-80 pp.) collection of poems by a woman writing in the English language. It is named after Emma Gatewood, the first woman to thru-hike the Appalachian Trail. CATHY PARK HONG's first book, Translating Mo'um, was published in 2002 by Hanging Loose Press. Her second collection, Dance Dance Revolution, was chosen for the Barnard Women Poets Prize and was published in 2007 by W.W. Norton. Hong is also the recipient of a Fulbright Fellowship and a National Endowment for the Arts Fellowship. Her poems have been published in A Public Space, Paris Review,Poetry, American Letters & Commentary, Denver Quarterly, Jubilat, and other journals, and she has reported for the Village Voice,The Guardian, Salon, and Christian Science Monitor. She now lives in New York City and is an Assistant Professor at Sarah Lawrence College. Poet must be a woman; our definition of "woman" is broad and includes transsexual, transgender, genderqueer, and female-identified individuals. Entry fee of $15 must accompany each submission; scroll down for PayPal button under "Payment." We no longer accept cash, check, or money orders. You must let us know immediately if your manuscript is accepted by another publisher while under our consideration. Manuscripts by close friends and former students of the judge are ineligible. If the judge would recognize your manuscript for any reason, please wait until next year to enter the contest. Manuscripts remain anonymous until a winner is selected. Please remove any identifying references from your manuscript (including those in the body of the manuscript). Entries that do not meet these terms may be disqualified. Please email becca [at] switchbackbooks [dot] com with any questions. Please include a cover page with ONLY the title of the manuscript. You will be notified of the winner and finalists of the contest via email. Create an account at ManuscriptHub (http://www.manuscripthub.com/users/index.php) and upload your manuscript in .PDF (preferred) or .DOC format. Find Switchback Books among the listed venues and choose to submit to the Gatewood Prize. ***Please note: There is a $2 handling fee for using ManuscriptHub. This fee is separate from our contest fee, and is payable to the good folks who run the ManuscriptHub system. DEADLINE: Manuscripts will be accepted through 11:59 p.m. on June 1st, 2010. The fellowship is the first of its kind for the region's writers, and is committed to Appalachian voices. Jean Ritchie of Viper, Kentucky, and Port Washington, New York, is a musician, author of prose and poetry, social activist, teacher, historian and folk music collector. The fellowship strives to support artists who, like Ritchie, create works of beauty and social relevance, while honoring traditional heritage and forging a new path. Find out more about Jean Ritchie at http://www.jeanritchie.com/. All work samples must be double-side printed and page numbered. Previously published material will not be accepted. No collaborative work samples or joint applications, please. Include a very brief, one page cover letter. To ensure an anonymous reading process, please do not put your name on any application materials excepting the cover letter. 1. What Appalachia means to you (for example: identity, culture, sense of place, values, economics, environment). 2. What does writing mean in your life? 3. Your current writing project. 4. How would you utilize the fellowship funding? Please consult the map found at http://www.lmunet.edu/mhlf/fellowship.shtml) to determine if the county and state in which you live, or are originally from, is eligible as defined by the fellowship requirements. Indicate your county and state in the cover letter. Fee: Ten dollars per submission. You may apply in more than one genre. For each genre in which you apply, there is an additional five dollar reading fee. A check or money order should be made out to LMU, Jean Ritchie Fellowship. No cash. Submissions will be accepted between March 1 and May 1, 2010. Postmarked deadlines are firm. Early, late, ineligible and incomplete applications will be rejected. Manuscripts will not be returned but will be recycled. Fellowship winner will be announced at the Mountain Heritage Literary Festival, Saturday, June 12, 2010, and posted on this website within the following week. Email notification will be sent to contest entrants if a working email address is included with your submission. Contest results will only be announced online and by email; please do not send a SASE for results. Please do not seek information on the status of your application before the announcement date listed above. The winner of the 2008 Jean Ritchie Fellowship in Writing was Mindy Beth Miller from Hazard, Kentucky. The winner of the 2009 Jean Ritchie Fellowship in Writing was Larry Bingham of Portland, Oregon. Submissions for the Jean Ritchie Fellowship in Writing come from literally every state in the region, as well as from natives who live in various states across the country. Our judges are consistently impressed by the quality of the manuscripts and the purpose statements of our applicants. The judging process for the fellowship is strictly blind—not one judge ever sees one name attached to the submissions. I have a favor to ask. It’s an important favor and it might just make a difference in your life. RESERVE YOUR PITCH SESSION TODAY!!!! I’ll give you the scenario. We write. It’s what we do. We work hard at it and once in a while we do something to grow as a writer. We take classes, attend seminars, get our work critiqued and as a result our writing evolves. It evolves daily! We win a few contests and are published a little here and there and the hard work and the passion we have for this art form is validated in all sort and form. Then the conference agent/editor lineup is announced and we start the tea party again. NOT THE ONE WITH ALL THE HEAVY POLITICS!!! The REAL tea party, the one we have all by ourselves. The one where we sit there at the keyboard and stare at our best story and then we say it only loud enough for us to hear - that sad old phrase. FIRST, you must stop beating yourself up for a few moments and ask question number one. If Peter Lynch and Christine Witthohn didn’t believe last year’s sessions were successful, why are they running back? They aren’t paid presenters so it isn’t for any financial reward other than adding to their stable and last year they did just that. SECOND. Why are they encouraging their friends to come? Christine Witthohn saw an abundance of untapped talent in the area of Inspirational Writing and Inspirational Romance and mentioned this to me and Kelly Mortimer. Next thing you know, Kelly’s willing to come and folks, she is just great. Plus, I think when Kelly and Christine get together, the energy level increases 500%. THIRD. Kaylan Adair is bringing so much to the table in the form of a professional children’s editor, her sessions are “must see” events. FOUR. The Agents and Editors Forum. If you’re nervous about pitching, we have a forum planned that will act as an icebreaker to show you how accessible these folks can be. They all understand how pre-published authors feel AND they also understand the Mother Lode of hidden talent in this group. Right after the forum, Christine will give a fail-safe class on pitching. Still not sure? Then Kelly will give a class on writing that agents want to see. Another thing…sshhh…..ALL OF THESE AGENTS WANTED TO ATTEND THE AWARDS BANQUET…..THINK ABOUT THAT WHILE YOU’RE SENDING YOUR PITCH REQUEST. It’s easy. Just send an email to : rwhite_writes@cfl.rr.com and request one or more pitch sessions and specify that the session is to be with Peter Lynch, Kelly Mortimer, or Christine Witthohn….or ALL OF THEM…at just $10 each, you couldn’t get an agent at these prices at WALMART, or K-Mart, or Southern States!!! See, I told you it was important! It’s all for you! Diverse Voices Quarterly is celebrating its second year of publishing online! Issue Five is available for a download on our website. The Mountain Heritage Literary Festival at Lincoln Memorial University announces its fourth annual writing competition. Prize amounts of $300 for first place, $150 for second place and $100 for third place are awarded in each category. Honorable mentions are awarded at the discretion of the judges. The Jesse Stuart Prize for Young Adult Fiction Entries for this prize are limited to no more than 2,000 words and may not be entered simultaneously in the Still contest. Paul Brett Johnson will judge. Johnson is a native of Kentucky, which he still calls home. He has published over twenty books for children. His work has garnered numerous honors including two Kentucky Bluegrass Awards and a California Young Readers’ Medal. The James Still Prize for Short Story Entries for this prize should be no more than 4,000 words and there is no restriction on subject matter. Amy Greene will judge. Greene is the author of Bloodroot, released in January 2010. She was born and raised in the foothills of the Smoky Mountains, where she continues to live with her husband and children. Her second novel, Long Man, is forthcoming also from Knopf. The George Scarbrough Prize for Poetry There are no restrictions on subject matter for this prize. One entry is considered a single poem or a set of up to three poems. Kathryn Stripling Byer will judge. Byer grew up in southwest Georgia. Her books of poetry include Catching Light, Black Shawl, Wildwood Flower and The Girl in the Midst of the Harvest. The Emma Bell Miles Prize for Essay This prize is restricted to essays that address Appalachian life, literature, religion, folklore, culture and/or values. Entries for this prize should be no more than 4,000 words. Erik Reece will judge. Reece is the author of two acclaimed books of nonfiction, Lost Mountain: A Year in the Vanishing Wilderness: Radical Strip Mining and the Devastation of Appalachia and An American Gospel: On Family, History, and The Kingdom of God. He is writer-in-residence at the University of Kentucky in Lexington, teaching environmental journalism, writing and literature. Submit two copies of your manuscript with one title page that includes your name, address, telephone number, email address, the title of the piece and the name of the contest to which you are submitting. Make sure that your name does not appear anywhere besides the title page to insure blind judging. Please enclose a check or money order for $7 per entry. Multiple entries are welcome and may be submitted in one envelope (this includes even if you’re submitting in multiple genres, which we welcome), but please include a separate entry fee for each contest submission, as well as separate title pages for each entry. There is no need to write multiple checks or money orders for more than one entry; one payment for the total amount is encouraged. Contest winners will be announced and recognized at the Mountain Heritage Literary Festival at LMU on June 12, 2010. Contest prizes will be mailed to winners who are not present on June 12, 2010. Deadline for postmark is Friday, May 14, 2010. Any entry that is not postmarked on or before that date will not be opened. Failure to follow any of the above guidelines could result in disqualification. Do not send the only copy of your work as all entries will be recycled.